Every retro gaming blog plus their Mums seem to be doing posts showing old retro scans. Considering I have box loads of old gaming magazines, I thought I would join the herd and start doing it as well. All I want to do is be cool ya know. 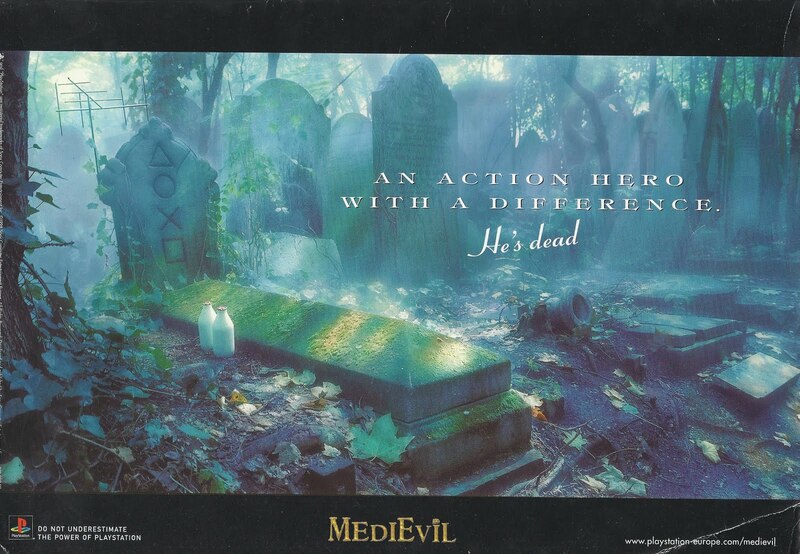 First off we have a scan for the excellent PlayStation game, Medievil. It includes an action hero with a difference... He's dead. I scanned this out of a PlayStation Pro dated from the 26th of Novmember, 1998. Click on the image for a larger resolution. "Its worse than that, he's dead Jim, dead Jim, dead Jim!" I'm not entirely sure, I'll keep an eye out though.